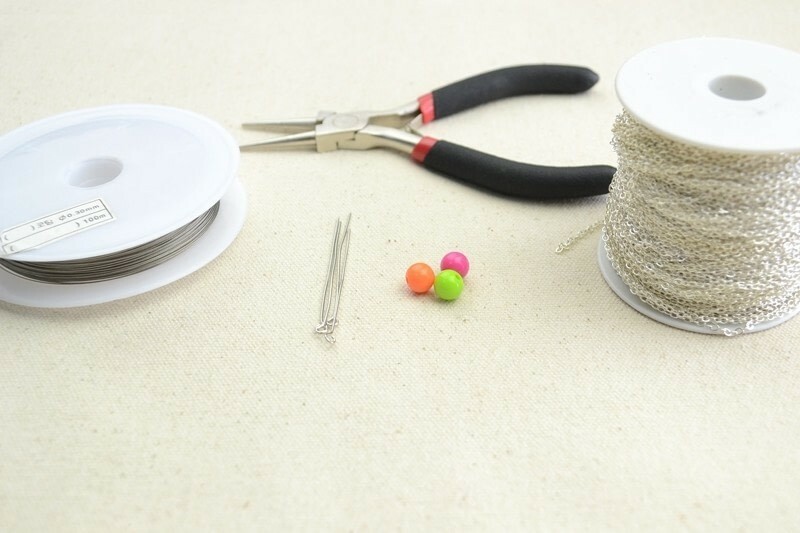 Check out this cute jewelry inspiration and learn how to create your own necklace. You will discover a new passion. The finished item is so adorable and striking! 1. Pick out your first color and a 35cm long wire. Form a loop at the center using 4 pieces of 8mm acrylic beads. 2. 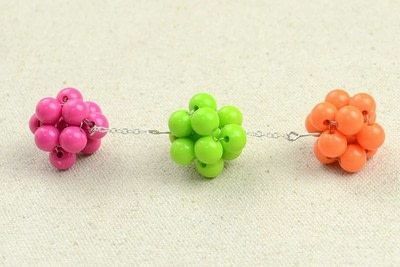 Add one bead onto each wire and then pass the two ends through an extra piece. This is the 2nd loop. 3. Do the same process for the 3rd and 4th loop. 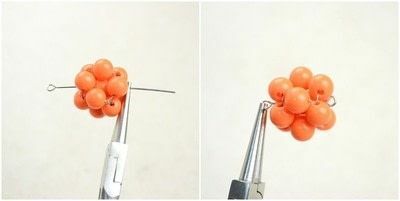 Pay attention that in the last loop, you just pass the two ends through the adjacent bead of the 1st loop. 4. 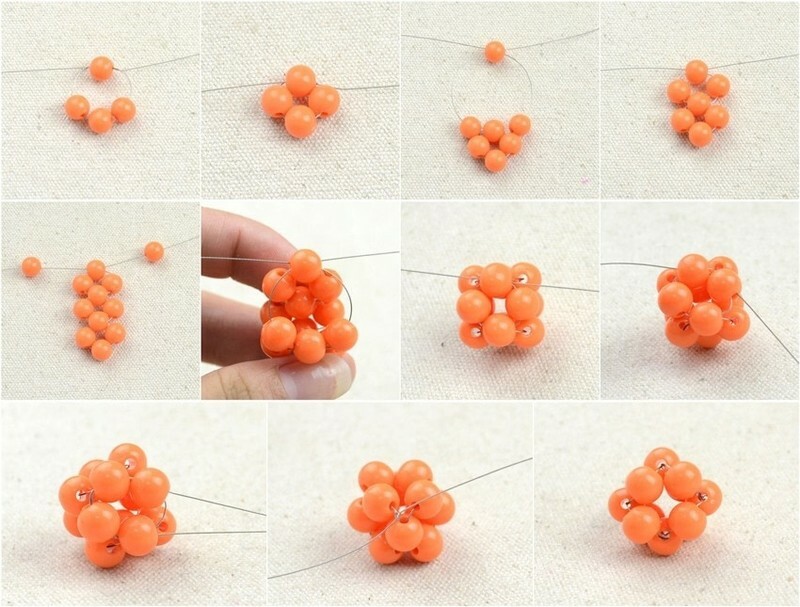 String the 4 beads on the left and right sides. 5. Exit the two ends at one location and secure with a knot. 6. 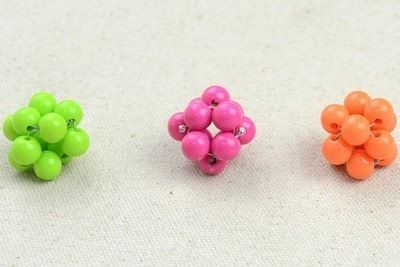 String one 8mm acrylic bead onto the headpin, then slide the beaded ball on and finally an 8mm acrylic again. Loop the other end of the pin. And this is a complete basic component. 7. Make 3 pieces of the above component. 1. Cut 3 strips of short chain segment, 1 or 2cm is enough. 2. Open the loops on the headpin. Attach the chain and then close off. Measure enough chain for a long necklace and attach it to the beaded components. Use a clasp if you desire a smaller necklace. 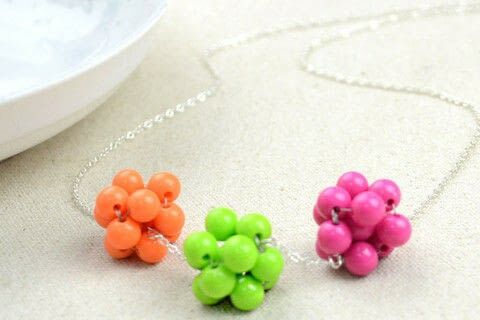 This kind of cute jewelry is totally a pretty necklace for the blazing summer season, and so is the vivid color palette! A necklace may not merely be a simple accessory; it is a personal statement about your personality. 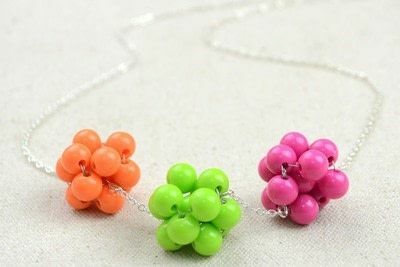 So, just whip up and create your own necklace for the current season.